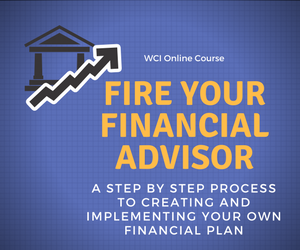 Financial coaching is focused on providing guidance, education and mentoring. My coaching services might be right for you if you’d like help getting your arms around your financial questions and concerns and receiving some guidance to help you deal with them. There is no pressure to purchase any financial products or sign up for any sort of ongoing services. The focus is on your questions, your issues and above all with getting you on the path to the outcome you are seeking. What planning steps do I need to take to financially transition from working to retirement? How do I convert my retirement savings to spendable cash in retirement? What accounts should I tap and in what order? What do I need to consider when deciding when to claim my Social Security benefits? What are my options for my 401(k) plan when I retire? What are the tax issues I need to be aware of in retirement? How do I manage the financial transition to semi-retirement? Overall, I use my 20 years of experience in financial planning to help you deal with these and other questions surrounding the financial transition to retirement. Please scroll down to view the next steps if this is of interest to you. How do I prepare a budget for my company? What are some of the key financial metrics I should be looking at each month? How do I analyze my financial statements? What steps can I take to maximize my business cash flow? What type of business entity should I consider? What are the pros and cons of the various small business retirement plans available to me? My background includes an MBA degree and 14 years in various corporate financial positions including Director of Planning and Analysis, Director of Finance and Division Controller. My coaching services bring this knowledge and experience to your situation. We can work together in one of two ways. A 30-minute call to discuss your situation, your questions, concerns and the result you are looking for. There is no charge for this call. After the call I will send a coaching/consulting proposal to you outlining how we would work together including the steps and the process. The proposal would include a flat fee for the engagement. If the proposal is acceptable to you, we would get started. Again, my focus on coaching and consulting is on education, mentoring, a bit of prodding and ultimately helping you achieve the goals you envision. If you’d like to discuss a tailored coaching/consulting engagement, please use my email contact form and I will get right back to you to schedule our 30-minute call. Schedule a coaching call. We will schedule a call at a mutually convenient time and discuss your questions and issues. I will provide the best guidance I can based upon my knowledge and financial experience. I use the Clarity.fm platform to schedule and manage coaching calls. Please click here to schedule your call. After that click on “request a call.” You will be prompted to check on times, once you’ve done this I will be contacted to confirm. We will both call into a number at the agreed upon time. The cost is $300.00 per hour, billed by the minute. You will only be charged for the actual time that we spend working on your questions and issues. This alternative works well if you have a few questions that you’d like to discuss. My coaching and consulting services are not structured to offer investment advice. If this an area in which you’d like help with, please check out my Financial Review/Second Opinion Services for Individuals service which is geared towards specific investment and financial planning advice.